John Elway, the former quarterback in the NFL for the Denver Broncos will always be remembered for his 47 game-winning or game-tying drives in the fourth quarter, his spectacular passing statistics, and his enduring competitive spirit. Elway was inducted to the Pro Football Hall of Fame in 2004 as the only quarterback to have started in five Super Bowls. Elway retired after the 1998-99 season leaving a big void in the NFL. Known for his come back victories, his cannon arm and his great leadership, Elway will go down in history as one of the best quarterbacks ever to play the game. Aside from his devotion to the game of football, Elway keeps busy by dividing his time between his family and his business interests. 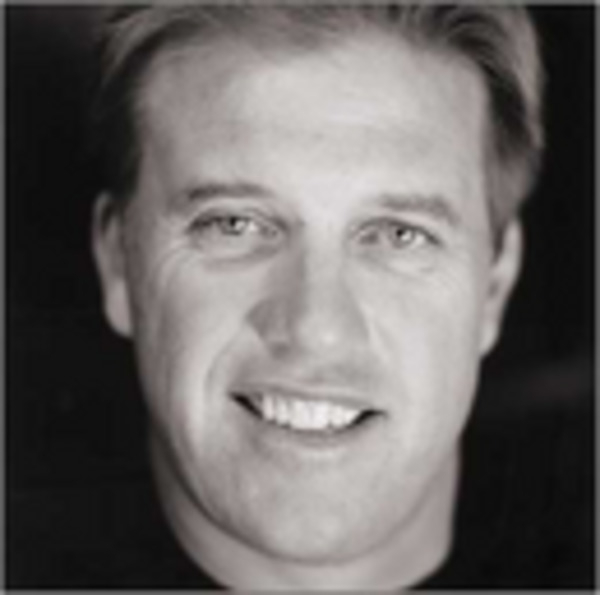 Elway serves as GM and Co-owner of the AFL's Colorado Crush. He has created a signature line of furniture under the name of Elway Home, owns Crown Toyota in Southern California, and Elway's Restaurant in Denver. Elway has also established the Elway Foundation, an organization that contributes finds and resources to the prevention and treatment of child abuse. Born June 28, 1960, in Port Angeles, Washington, John Albert Elway revealed his athletic prowess early in life. John was such a strong and accurate passer in his Pop Warner league and elementary school days that, when he was ready for high school, his father moved the Elway family to the greater Los Angeles area, so John could play in the pass-oriented offense of the Granada Hills High School Highlanders football team. The move paid dividends as John completed 60 percent of his passes for 5,711 yards and 49 touchdowns over his four years of high school. In 1979, John was the highest recruited prep athlete in the nation. Tall, strong, and mobile when scrambling out of the pocket, college football scouts recognized John as a threat to score, through the air or on the ground, on any given play. He was also a highly touted baseball prospect, and was drafted out of high school by the Kansas City Royals. Despite the allure of pro baseball, John elected to attend Stanford University, which was known for its high academic standards and its football team's high-octane passing attack. By the time he finished playing quarterback for The Cardinal, John Elway held NCAA Division I career records for passing attempts and completions, and most games with more than 200 yards passing (30). Over four years, he passed for 9,349 yards and 77 touchdowns, earning All-America honors his senior year, and graduating in 1983 with a degree in economics. John Elway, who also starred in baseball at Stanford, was drafted by both the Baltimore Colts and the New York Yankees in 1983. The Colts made John Elway the first player picked in the 1983 NFL draft, but John stunned the football world by refusing to play for Baltimore. The Colts traded their rights to John to the Denver Broncos, who promptly signed him to a 6-year contract worth $12.7 million. In the 1983-4 season, rookie John Elway started 10 games, replacing injured incumbent Steve DeBerg. He finished the year the NFL's 17th ranked quarterback. The next season, 1984-85, saw John starting every game for the Broncos, throwing 18 TDs en route to a 12-2 regular season record. By 1985-86, he was rewriting the Denver record books, making 605 pass attempts for 237 completions and 3,891 yards. With John at the helm, the Broncos led the league in total passing plays and total offense. The 1986-87 campaign was another stellar statistical year for John, but it will forever be remembered for a single post-season milestone on his journey from star quarterback to NFL legend – a 15-play, 98-yard offensive series in the AFC Championship game now known simply as, "The Drive." The next several seasons would witness John's continued growth as a premier NFL quarterback. In 1987-88 he passed for 300 yards in four different games and led the Broncos to the AFC Championship once again, only to stumble again, in Super Bowl XXII, to the Washington Redskins. John was voted into the Pro Bowl again, this time as a starter, and was also named the NFL's Most Valuable Player. Injuries nagged John throughout the 1988-89 campaign, but he was still voted the Broncos' most valuable player, for the fourth consecutive season. In 1989-90, John led Denver to its third AFC Championship and Elway was invited to the Pro Bowl for the third time in his career. In 1991-92, John had another stellar year that included the score of his lone receiving touchdown, on a pass from teammate Steve Sewell, in an explosive season opener against Cincinnati, in which he added two TDs rushing and two more passing. The Broncos returned to the playoffs, highlighted by a come-from-behind victory over the Houston Oilers in an AFC Divisional Playoff. John also earned his fourth Pro Bowl berth. John Elway was named the AFC Most Valuable Player in 1993-94 and started his fifth Pro Bowl. He led the league in pass attempts, completions and completion percentage. And he led the AFC in yardage with his first career 4,000-yard season. John logged several milestones over the next couple in seasons. In 1994-95 he earned his sixth Pro Bowl berth and in 1995-96 he became just the second player in league history to throw for 3,000 yards in 10 seasons, and the seventh player in league history to reach 40,000 career passing yards. In 1996-97, John set a new NFL record for career victories by a starting quarterback and became only the third player in league history to pass for 45,000 yards. He also joined Fran Tarkenton as the only other player to pass for 40,000 yards and rush for 3,000 in a career, surpassing Randall Cunningham for all-time rushing attempts by a quarterback along the way. After 14 years in Denver, he was the winningest starting quarterback in league history. Yet the win he treasured most still eluded him. In the 1997-98 season, with a spectacular running attack spearheaded by running back Terrell Davis, John led the Broncos to their fifth Super Bowl appearance. En route, he threw a club record 27 TDs and surpassed the 50,000 yard mark for career total offense. Super Bowl XXXII was billed by some as a showdown between John Elway and the NFL's other gun slinging field general, Brett Favre, of the defending champion Green Bay Packers. In the fourth quarter, John directed another signature drive to take the lead capped by a Terrell Davis scoring scamper, his third of the day,that seemed to drain the life from the Green Bay defenders. The Denver defense took care of the rest and John Elway, along with the franchise he had led for 15 years, finally won a Super Bowl. The dark cloud of doubt that had followed him from his first Super Bowl defeat onward evaporated in an unbridled celebration of victory and vindication. The 1998-99 campaign was to be John's last, not that his performance gave any hints. During the season, John achieved the 50,000-yard passing mark, only the second player in history to do so. He also reached the 300 career TD pass mark, only the third QB to do so. John helped Denver to a 13-0 start, tying for second-best in league history and added his 36th career 300-yard passing day in the season finale. In January, John Elway became the first quarterback to start in five Super Bowls. If he had any detractors left after the prior year's Super Bowl win, his spectacular play in Super Bowl XXXIII, surely silenced them. Against an Atlanta Falcons team led by former Broncos coach Dan Reeves, John completed 18 of 29 passes for 336 yards and a touchdown and ran for another TD, in a decisive 34-19 triumph. Along with the sweet taste of a second Super Bowl victory, John was named the game's Most Valuable Player. Today, John Elway lives in Englewood, Colorado. He keeps very busy, dividing his time between his family, business interests and the Elway Foundation, a nonprofit organization John started in 1987 to assist in the prevention and treatment of child abuse.